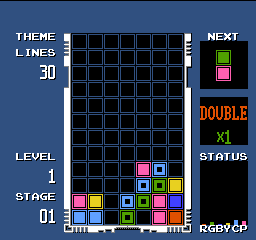 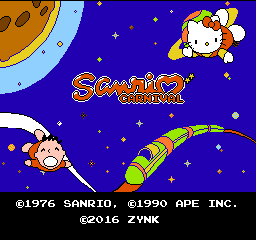 Sanrio Carnival is a puzzle game for the Nintendo Entertainment System. 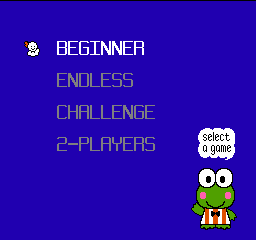 The game was released in Japan only. 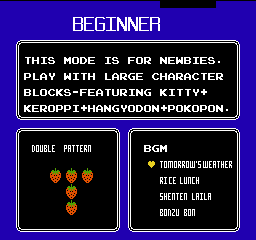 This is an English translation of “Sanrio Carnival” for the NES. 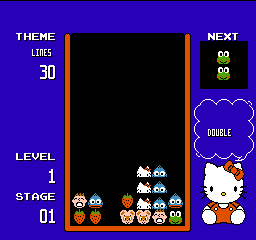 The game is a puzzle game that features characters from Sanrio Company, notably, Hello Kitty, Keroppi, etc.